A consortium led by Virgin Atlantic and Stobart Group is pumping cash into regional airline Flybe to keep its takeover target flying. Under a rescue plan unveiled by Flybe yesterday, the consortium partners will pay £2.8 million for the business instead of the £2.2m that was previously agreed. Flybe’s rescue package also includes £10m of immediate funding – from a revised bridging loan worth a total of £20m – to help Flybe survive until the slated takeover completion date of February 22. The owners-in-waiting have pledged a further £80m of funding to support their growth plans for Flybe, whose route network includes a raft of flights from Aberdeen and Inverness. Flybe said the emergency cash injection and increased takeover offer “provides the security that the business needs to continue to trade successfully”. The airline revealed it had failed to meet the conditions for a £20m bridge loan forming part of the takeover deal announced last Friday, meaning it was unable to access much-needed cash. But the rescue package did little to settle investors’ nerves. Shareholders faced with getting 1p per share under the terms of the takeover were rushing to offload their interests in Flybe’s holding company yesterday. Flybe’s stock nearly halved in value, leaving the company with a market value of about £5.1m. The airline is to be combined with Stobart Air in a joint venture called Connect Airways. Virgin and Stobart will each own 30% of the new business, while a third consortium partner, Cyrus Capital Partners, will have 40%. Flybe put itself up for sale in November after warning over profits in 2018. Announcing the takeover plans last week, chief executive Christine Ourmieres-Widener said the company was forced to seek a buyer due to higher fuel costs, currency fluctuations and Brexit uncertainty. Exeter-based Flybe is also selling its slots at London Gatwick Airport to Spanish budget carrier Vueling Airlines – a subsidiary of British Airways owner International Airlines Group – for £4.5 million. 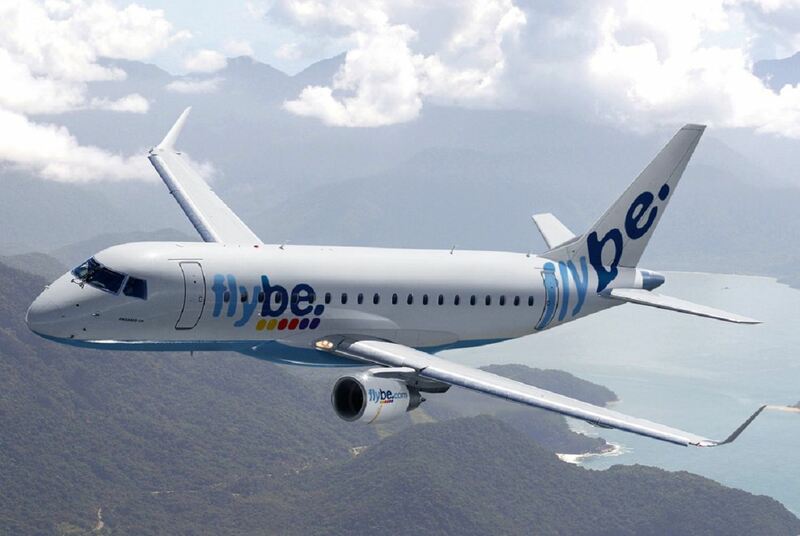 Flybe operates flights from Aberdeen to destinations including Heathrow, London City, Manchester, Birmingham and Belfast, plus Stavanger in Norway under a partnership with Eastern Airways. From Inverness, it has flights to Birmingham and Belfast. Trade unions have raised concerns over the impact of the planned sale on Flybe’s 2,300-strong workforce. Virgin Atlantic – part-owned by Sir Richard Branson – was last in Aberdeen with its Little Red service, which folded in 2015 just two and a half years after start-up.